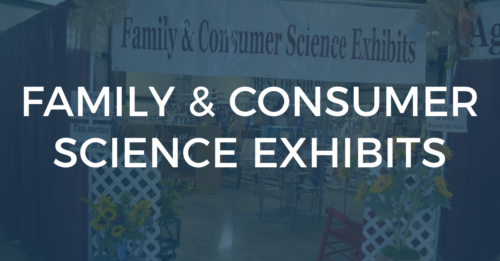 Entries for the Family and Consumer Sciences Exhibits (Divisions: Sewing, Needlecraft, Crafts, Fine Arts, Photography, Canning, Cooking, Floriculture) will be taken between 8:00 a.m. and 12:00 p.m. on Saturday, June 30, 2018. Entries will be taken on Monday, July 2, 2018 between 8:00 am and 12:00 for Cooking only. Any item receiving any ribbon may not be entered again. Due to lack of space, we can no longer take entries at the Extension Office. In case of mistakes, entry book will be accepted as standard in awarding prize money. In case of only one entry in a class, it shall be judged according to the quality of the product. Only one entry per person may be entered in the same Lot in any Division. 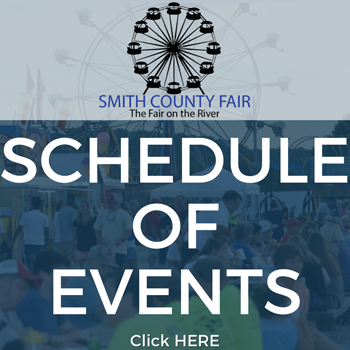 Open only to Smith County residents over the age of 18 and/or current Smith County FCE club members. Pick up will begin at 1:00 pm Sunday, July 8 and will end at 3:00 pm. However, Cooking entries WILL NOT be returned. Only ribbons in cooking will be given at pick up. Premium checks must be picked up on Sunday as well and cashed within 60 days. All articles are exhibited at the owner’s risk, but all reasonable precautions will be taken for protection of items. We are not responsible for items not picked up on Sunday afternoon by 3:00. Items must be homemade where applicable. FCS exhibits will be closed during judging and at 9:00 pm week nights and 9:30 Friday & Saturday. Best of Show will be given in each Division. The Hallie Mai Clemons Award of $100 will be given to the FCE club with the most entries in the Family & Consumer Sciences exhibits. Exhibitors must be a club member prior to June 15 to qualify. It is the responsibility of the Exhibitor to make sure their entry is in the correct category. Items must be made by exhibitor with the exception of recycled clothing. Items must be made by exhibitor. Work can be pieced by exhibitor and quilted by someone else, but must be noted on exhibit. Note: Scrapbooks will be left out for viewing. No canvas paintings exceeding 24” x 30”, including frame, will be accepted. Paintings must be framed or on stretch canvas. All entries must have hooks or stands for hanging or displaying. Only one entry per person in any Lot. No paint by number or glass painting. Paintings with wet paint will be disqualified. Professional is defined as someone who sells their work, teaches art professionally, or a person who has published and sold art or has displayed in a gallery. All photos must be the original work of an amateur photographer (amateur – someone who does not receive pay for photography). Previous winning entries or those entered in the past year will not be accepted. All photos must be no smaller than 5” x 7” or no larger than 8” x 10” and in color, except lot #2 and #18. Photos must be mounted on sturdy mount board, no construction paper or cardstock, to accommodate photography racks. No framed photos accepted. Only one item may be entered in any Lot. Tags will be placed on items in the direction that the photo will be displayed. All entries must be made by the exhibitor in containers of size called for in Fair Catalog or will be refused. Canned items will not be accepted unless they are sealed Mason-type canning jars with 2 piece lids. (Ex., Ball or Kerr). Any items losing their seal will be discarded. Product must have been canned since the 2017 Smith County Fair. Jars must have exhibitors name and phone number on bottom of jar. All fruits, vegetables, pickles, and juices will be accepted in either pints or quarts, unless noted otherwise. Jams, jellies and preserves will only be accepted in pints or jelly jars. Paraffin cannot be used to seal jams, jellies or preserves. Entries must be made by the exhibitor. Entries must be displayed on sturdy, white disposable plates not to exceed 7”. Items preferred to be in zip lock bags. Due to limited space only winners may be displayed. Pies: 1 large slice displayed on plate (see rule #2). Cakes: 1⁄4 displayed on plate (see rule #2) with the exception of Lot 9. Cakes will be judged as follows: texture, flavor, and appearance. Homemade crusts preferred, but not required. Cooking items will not be returned with the exception of faux decorated cakes. Cooking entries will be taken on Monday, July 2 from 8 a.m. – noon. It is the responsibility of the exhibitor to water their plants and/or replace all dead flowers with fresh ones during fair week. All dead flowers will be discarded. Entries will be judged 1/3 on flowers; 1/3 on arrangement; & 1/3 on container, except specimens. All specimens will be displayed in bottles provided by floriculture depart- ment at entry, and will be judged on flower only – container not considered. No artificial flowers will be accepted. Not responsible for containers that are lost or broken. Every effort will be made to preserve the condition of all plants, but the Fair will not be responsible for changes due to temperature, lighting and watering conditions. Potted plants must have been in exhibitor’s possession three months. No DRIED flowers. All Containers must have a saucer to catch water. Item must be at least 75 years old with the exception of Lot 5. Entry must have owner’s name; the name of the original owner if known; their relationship to you; and the name of the item on a note card. All items will be stored in a display case in order to provide additional security. Items may only be entered once every 5 years. Items must be original (no copies). All items should be 12 inches and under with the exception of antique quilts. Please call the Ag Extension Office at (615) 735-2900 with any questions.